Marsha Hewitt is a versatile artist, who paints with wax - beeswax to be specific. In her work, she explores the sensuality, luminosity, transparency and texture of encaustic wax. Hewitt’s paintings are bold abstract studies that use vibrant colors, lots of movement and create a deep sense of space. In some works, she uses compelling graphic images including collages, drawings, and her own writing and photography. The work is built up in layers of wax with as many as five layers in one area. A numinous thread of mystery, spirituality and love of nature run through Hewitt’s work. In the past, Hewitt has created works on paper, artist books, sculpture and installation art. Her work has been exhibited in galleries in New York City, Chicago, Boston and most notably the DeCordova Sculpture Park and Museum. Her works are in the collection of the Chevron Corporation, Boston University and the Northrup Corporation in Los Angeles. Hewitt also has attended numerous art colonies, including Yaddo and Virginia Center for the Arts. Her artwork has been featured on Evening Magazine (WBZ/TV), Boston Live (WSBK/TV) and has been widely written about and profiled in several books. 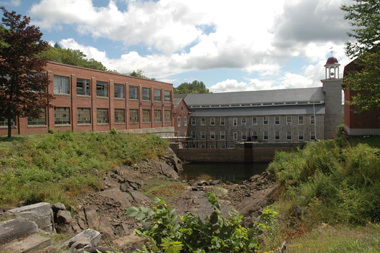 Hewitt maintains an artist studio in an old mill building in Harrisville, NH.